Here are some Bible Verses about Hope. We talk about faith a lot as Christians but did you know that if the enemy succeeds in cutting off your Hope that your faith won’t work? What happens when you’ve waited and waited and waited and nothing seems to be happening? The bible says faith is believing in the unseen; however if you don’t put your HOPE in the future that God has planned for you then you will never lay hold of what God has promised. It is important that we don’t lose hope. Even when things look like it’s not going the way that we thought it would, don’t lose hope. God will make it happen. 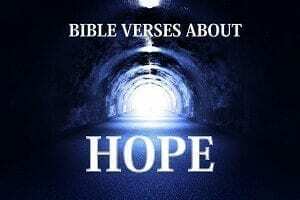 Here are some Scriptures on Hope that will help to refocus you if you are at the end of your rope and you believe that you have lost hope. (Psalm 39: 7 -9 NIV) “But now, Lord, what do I look for? My hope is in you. Save me from all my transgressions; do not make me the scorn of fools. Do you have a favorite bible verse on hope that you would like to share with us? Write it in the comments below. Here are some other bible verses for you. 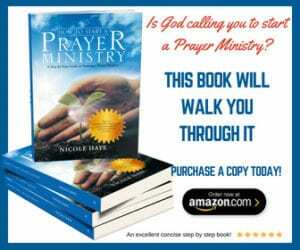 Do you need a Prayer for Hope? Here is one for you. Please pray for our sick dog Kira, she has a slip disk in her neck and she has a lot of pain, please pray for her comfort, recovery and healing. Please pray for our sister Jenny for peace of mind, to end her schizophrenia, anxiety and stress. Please pray for the rest of our family members, give us hope, strengthen our faith to overcome all situations, trials and tribulations in Jesus name. Amen. Please pray for my pet Roney. she is very ill. Pray that God will heal her.